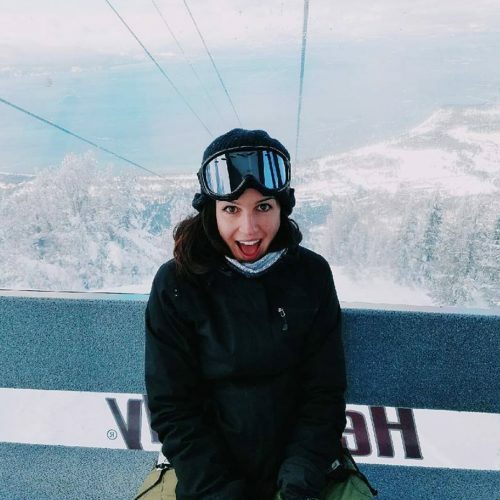 Despite being “#scaredofheights,” Shenae Grimes Beech felt like a “#Tahoe #snowbunny” when she rode a lift at “Heavenly” in February 2017. During this trip, she had an “Epic first day skiing and snowboarding in #Tahoe” with her husband. In December 2016, Soleil Moon Frye said, “Going to the top of this mountain and skiing down after not skiing for so many years was pretty scare for me. My little ones led me down the whole way & taught me once again to let go of my fear & to be forever young!